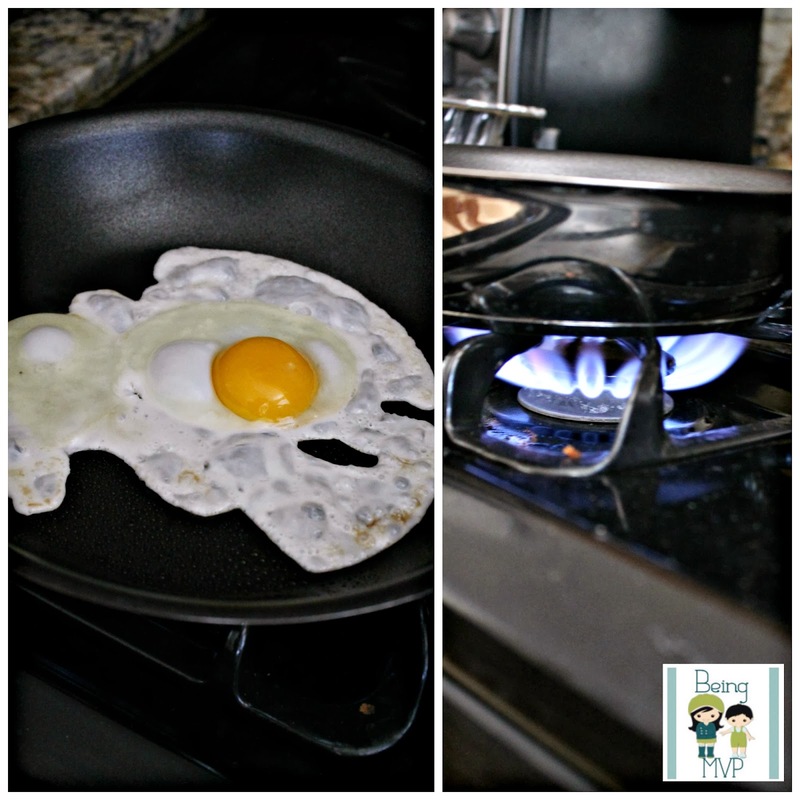 being MVP: Ozeri Eterna Pan + Giveaway! 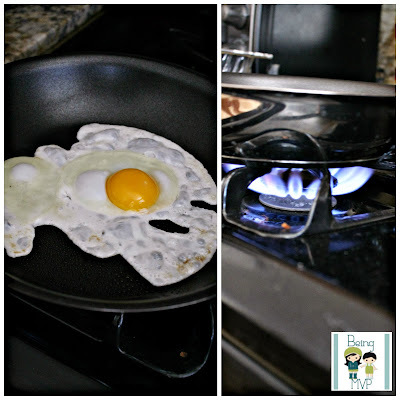 Ozeri Eterna Pan + Giveaway! I am by no means any professional cook nor do I have natural skills to create a dish on the whim. However, I do like to make simple breakfasts and snacks for the kids. 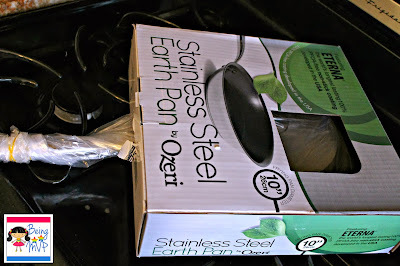 When the Ozeri Stainless Steel Earth Pan arrived for review, I decided to test it out immediately. We have gone through so many different pans of varying values so I was curious to see how the Ozeri would measure up. 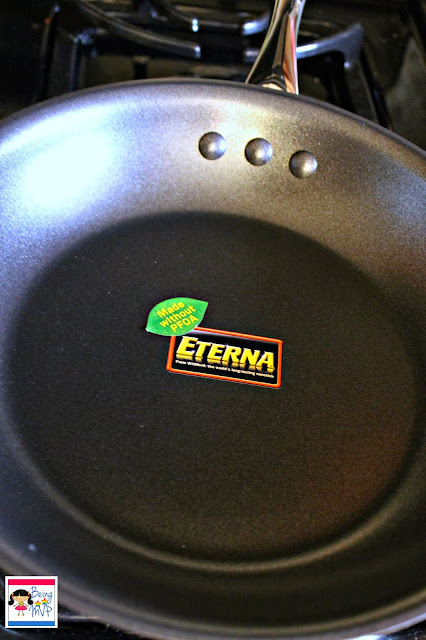 The Ozeri Stainless Steel Earth Pan features Eterna (the world's longest lasting 100% PFOA-free non-stick coating developed in the USA) and while I'm a huge fan of non-stick pans, most of the ones we have used in the past end up scraped and tossed in the trash. This pan is pretty hefty in weight due to the 18/8 stainless steel with TriPly construction. It is well built and I have no complaints regarding the quality in aesthetics. Down to the nitty gritty: this pan heats up pretty quickly on our gas range. I love making a simple snack of kimchee rice and/or noodles with an egg on top. Kenzie also loves eggs so I cracked a few into the pan. This Ozeri pan cooked the eggs in record time and no residue was left in the pan when I removed the eggs. Usually there is some film/brown egg crust that needs to be scraped off but not with the amazing Eterna feature of the Ozeri pan. Very clean and I could technically throw something else in there to cook afterwards without worry of mixing tastes. Buy It: You can purchase the Ozeri Eterna Stainless Steel Pan for $34.95. Make sure to connect with Ozeri on Facebook and Twitter! One Winner will Receive a Ozeri Eterna Stainless Steel Earth Pan! I want the bathroom scale, sharp looking. I also love the kitchen scale. I'd love to try the Thermo Glassware- so cool looking. Love your new blog design, by the way! I like the infrared thermometer. I would love to have the Ozeri Graviti Pro Electric Pepper Mill and Grinder. the microban bathroom scales are awesome! I'd love to try the Thermo Glassware! I would love any of the thermo glassware. I love the green earth pan skillets!!! I would also like to have one of their amazing kitchen scales. I would also love to have some of the Thermo Glassware. I love the wine opener! I like the large Green Earth skillet with glass lid! They offer rings too. I like the tungsten carbine ring. I'd like one of their kitchen scales. On a more random note, I like your blog's new look. i would also like their salt and pepper mills. thank you! I would love to have one of their bathroom scales. I liked the flat silver kitchen scale....I couldn't tell what the name of it was though. I like the Ozeri BP2M Cardiotech Premium Series Digital Blood Pressure Monitor with Color Alert Technology. I'd love to try the Thermo Glassware! Thanks so much for the fantastic giveaway! I want the thermo glasswear. I would love to have one of the Ozeri digital bathroom scales. I also like their black digital bathroom scale. I like their kitchen scales. I'd like a salt and pepper mill. I would like to have their salt and pepper mills. I would like to try their knives or their stainless steel pans. I would love to have any of their thermo glassware. I'd love to have the food scale! I would love to have a small ceramic earth pan! I would love to have a kitchen food scale! Green Earth Pan Skillets look awesome! would love the Kitchen food scale cuz im going on a diet and that would be awesome!! I would love to have the Thermo Glassware!